Have you observed a street light that is not working in StarCreek? On all the time? Totally out? Leaning? Other issue? The city of Allen owns, maintains and repairs these lights. 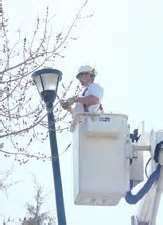 Streetlight issues can be reported online here. IF YOU SEE SOMETHING, REPORT IT! When something occurs in our neighborhood that needs attention from our property manager, please send it via email to reportit@starcreekhoa.com. Our Online Help Desk gives you a quick way to report issues or find answers about city services. You can enter a service request or report an issue online 24/7 or search our KnowledgeBase for answers to our most frequently-asked questions. Easily report about issues like barking dogs, abandoned vehicles, overgrown trees, unsafe sidewalks, graffiti or potholes. Search our KnowledgeBase for frequently-asked questions or ask your own. Issues are automatically delivered to the right staff member—no need for residents to go to city hall or spend time on the phone. If you are reading this from a mobile device, consider downloading our mobile app, MyAllen. The app contains the same features as the Online Help Desk, with options to attach a photo or include a GPS location of the issue. Looking for a babysitter, need to have some alterations done, wanna buy a used car? Do you have a sofa for sale or a child who wants to advertise his summer pet sitting business? Look no further than StarCreek's own Classified Ads. This is a free service available only to registered StarCreek residents. Unlike the message board, you can add photos. Check it out!